Be Ready For Term 4, Finish The School Year With A BANG!! As the weather warms up students are looking for that refreshing, tasty, hunger fix, the answer is FRESH Sushi! Sushi - Pro provide chilled fresh Sushi to schools and outlets throughout South East Queensland, Northern NSW and Toowoomba daily, not only does it taste great but it is also healthy and children of all ages LOVE IT! Melbourne Cup Catering - Can't Go Wrong With Sushi! Everybody loves Sushi! It is the new big thing when it comes to catering. 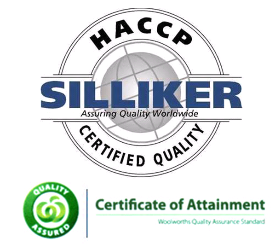 Sushi - Pro has all the option, with HACCP, WQA quality certification and pride in our products Sushi-Pro guarantee fresh, top quality products every time. If your planning a big function or just a picnic luncheon, Sushi-Pro has it covered. Various sushi, Vietnamese rolls and nigiri platters are available or catering function rolls if you would like to select the flavours and platter it yourself. There is something in our range to suit everyone. Don't forget about Sushi-Pro new healthy BROWN RICE options! Brown rice is an excellent source of manganese, selenium, phosphorus, copper, magnesium, fiber and niacin (vitamin B3). Now you can take your healthy lunch options a step further with FRESH Brown rice sushi from Sushi-pro. Looking for a quick all in one lunch option? 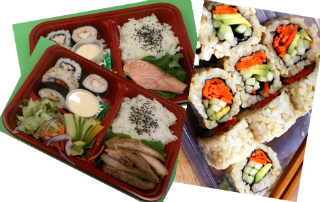 Try our Bento boxes. It is a convenient meal containing a salad, teryiaki chicken or poached salmon strips, rice and 4 pieces of tasty sushi. Never go hungry again. 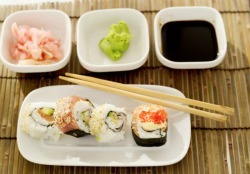 Sushi - Pro deliver to Brisbane, Gold Coast, Toowoomba, Ipswich, Redcliffe and NOW northern NSW. 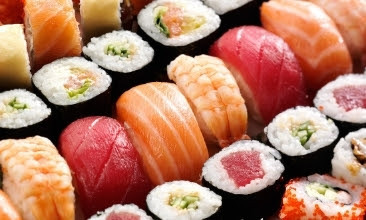 Contact Sushi- Pro to arrange your Delivery today!